It’s no small secret that Buffalonians love to drink and they certainly love their beer. 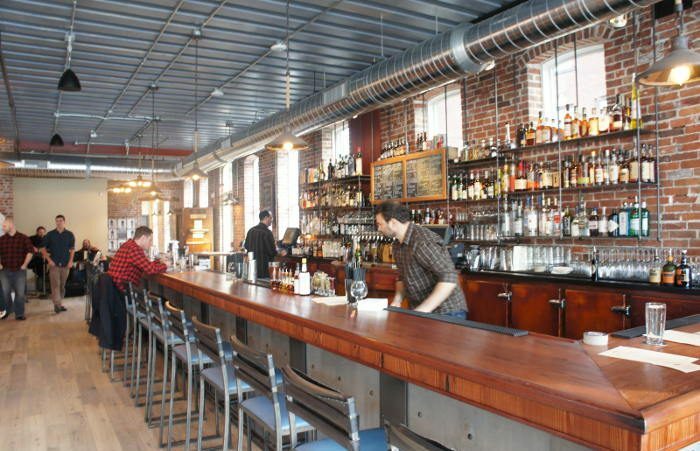 They also love to be around other beer drinkers while imbibing their favorite brew; a major reason as to why the Buffalo-Niagara region is teeming with exceptional beer bars that serve only the finest libations. From Buffalo and Niagara Falls to East Aurora and Williamsville, countless beery destinations await to serve you a frosty glass of the good stuff and even more are opening soon. Picking the right place to go can be tricky (who are we kidding, you should go to all of them), so let us help put your mind at ease and make your decision a little easier with our Ultimate Guide to Buffalo Beer Bars. What we have provided here is a hand-picked list of the bars that have their finger on the pulse of the world of beer both here and away. There aren’t many more satisfying combinations in this world than beer and burgers. 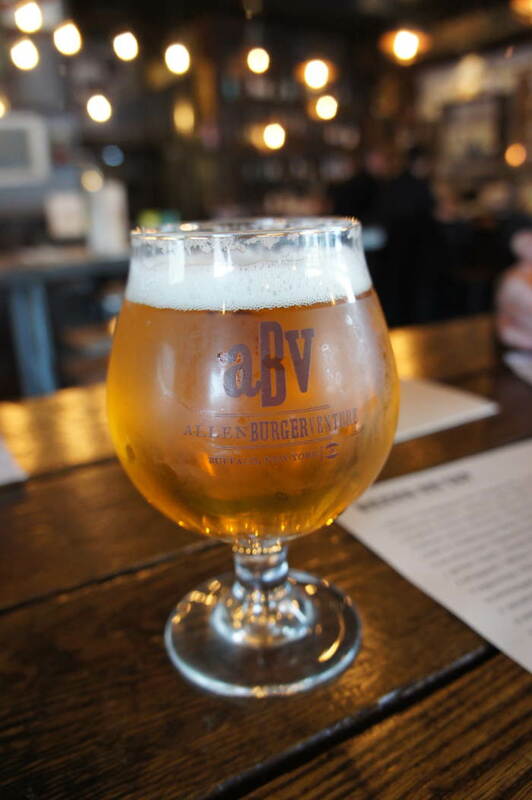 Thankfully for all of us, these are two things Allen Burger Venture, aka ABV, do very well. With 24 rotating taps of fresh craft beer, bourbon flights and dozens of unique dry-aged, grass-fed Angus beef burgers, including the Italian Sausage Burger and the Spanish Chorizo Burger, Allen’s ABV is one-stop shop for all of best Buffalo has to offer. They have a late night and takeout menus available. 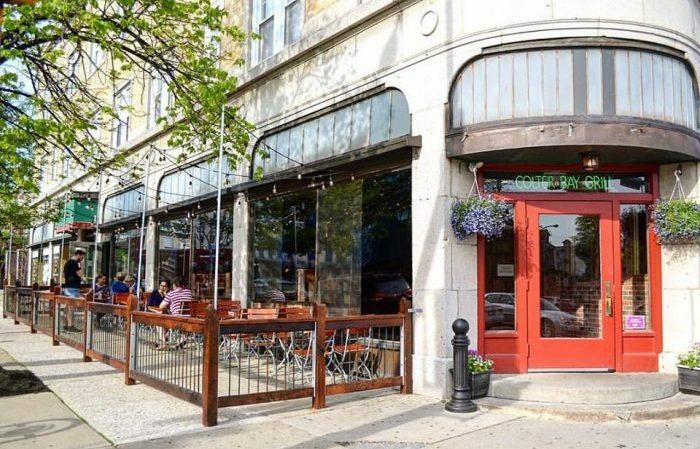 Mr. Goodbar has been a staple of the Elmwood area since 1968, thanks to over 30 taps and a beer engine pouring micro and import cask-conditioned ales, as well as canned and bottled beer from around the world. Goodbar offers some of the area’s best chicken wings as well (don’t sleep on the tater tots), in addition to beer-centric events (like the annual Buffalo Cask Fest), live music most nights, open mic nights for both music and comedy and karaoke. You can also pretty much find drink specials any night of the week at Mr. Goodbar. Co-owners Mike Shatzel and Tony Martina resurrected Colter Bay, which was closed for one year, transforming it into a veritable ski lodge full of free-flowing craft beer from over 40 taps – 44 to be exact. 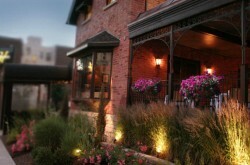 Burnished gold bar stools and copper-accented architecture touches make for an inviting atmosphere in which to imbibe. And if you’re looking for a little grub to go along with a fresh pint, Colter Bay offers a full food menu, including the Elk Alley elk burger (you can also order food online and have it delivered via SkipTheDishes). Coles, a true Buffalo institution, has been serving the people of Buffalo for over 80 years. 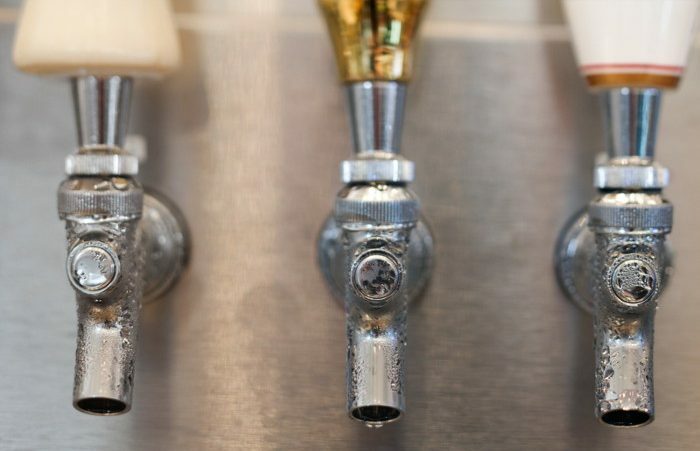 With over three dozen taps featuring a good mix of local and non-local brews, it’s no small secret why Coles has been a favorite neighborhood watering hole for so many years. Beyond the nearly unmatched beer selection, Coles is also a revered eatery, offering a wide variety of wings, sandwiches, and burgers. Come for the food, stay for the beer. Thin Man Brewery, located in the heart of the Elmwood Village, combines the brewery’s own creations, which include a healthy stable of hoppy IPA’s like Very Friendly and Burning Money and the Bliss Double IPA courtesy of head brewer Rudy Watkins, with a vast selection of the finest wares from breweries both near and far. Thin Man features three floors (and a rooftop patio) with plenty of seating area to enjoy selections off of their food menu, which includes offerings like poutine and the mile-high Tokyo Burger. 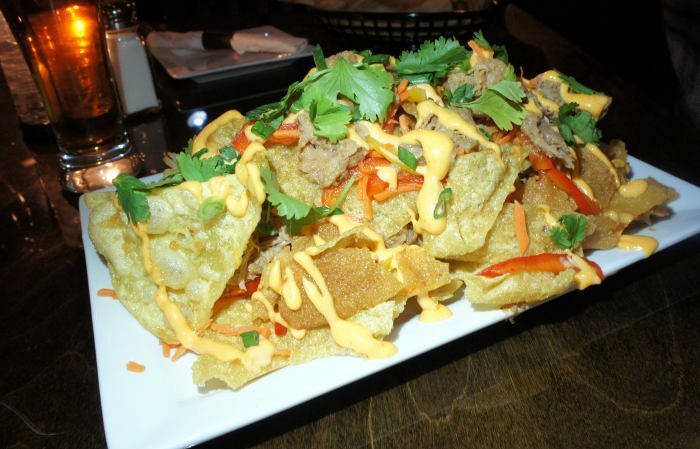 It’s also a great place to catch a Sabres game, so at Thin Man, beer is just the beginning. Located in the heart of the Buffalo & Erie County Naval and Military Park, Liberty Hound offers some of the most picturesque views the area has to offer due in large part to its massive waterfront patio. 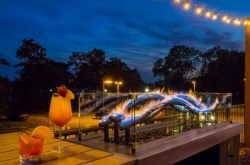 Pairing a dozen different draft beers and hand-crafted cocktails (try the Old Bay Bloody) with a contemporary menu featuring such dishes as Truffle Fries, Saku Tuna Nachos, and the Liberty Burger, the Liberty Hound is a must-see destination when visiting Canalside, or anytime for that matter. Not only is Larkinville’s Hydraulic Hearth a premier location for craft cocktails, it also houses a satellite brewery for Buffalo’s own Community Beer Works, with Robert Turley handing the brewery side of things, churning out fresh CBW beers made in-house. Speaking of house made, Hydraulic Health also specializes in gourmet wood-fired pizzas, which couple perfectly with any one of the 11 beers and ciders the Hearth has on tap at any given time. Add to that weekly brunch events, live music, and a massive outdoor seating area and you have a memorable time waiting for you at Hydraulic Hearth. Ok, so this one actually fits into both the Buffalo and Suburbs categories. 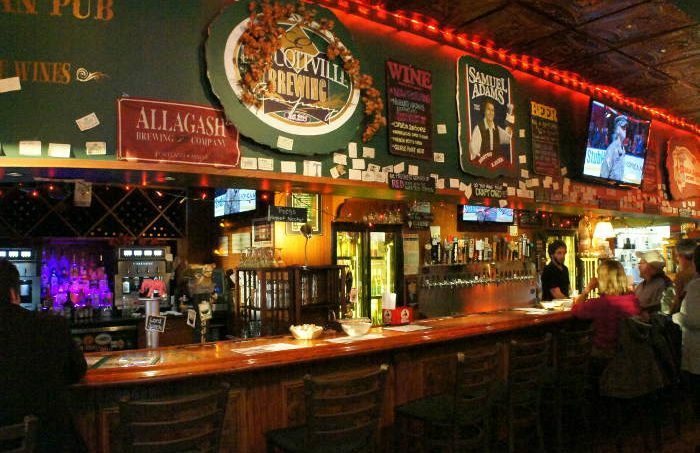 The oldest and one of the best beer bars in the region. 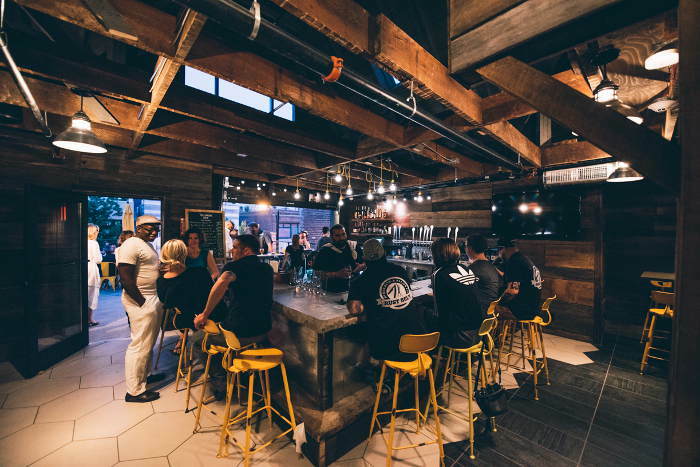 Known as the home of the Pod, Pizza Plant offers a relaxed atmosphere and informed beer staff to go along with its superlative list of craft beers, both at their Transit Road and Canalside locations. 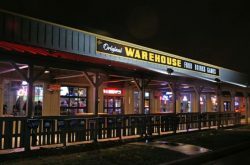 There’s live music weekly at the Williamsville locale to go along with tap takeover events and happy hour specials, and the Canalside location is within walking distance of KeyBank Center as well as the waterfront & Canalside, enough to make both worth a trip. 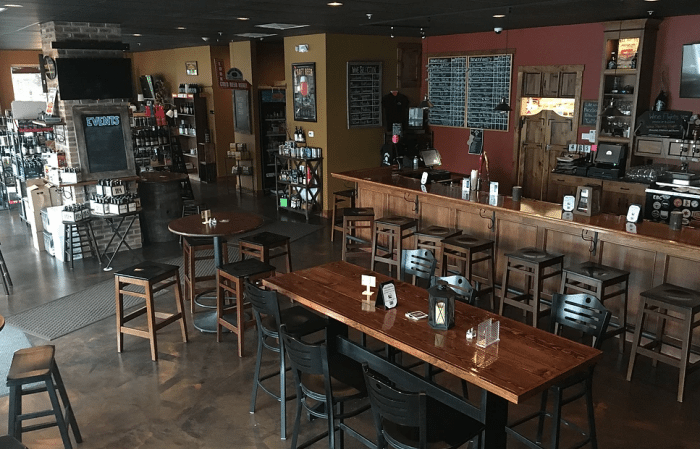 Endless bottles and a handful of taps await you at East Aurora destination Aurora Brew Works, a brewpub/bottle shop hybrid that gives patrons the rare opportunity to drink beer while shopping for more beer. There’s ample seating and board games to help pass the time while you enjoy one of the top bottle selections around, which you can purchase and drink right at the shop (for a small fee). Not sure what style of beer you want to drink? Spin the beer style wheel to help decide. And make sure to catch ABW on a night when the Cellar is open for even more taps and more beer in a sheik lounge vibe. This brand new (as of 2017) beer store/bar is the same concept as Aurora Brew Works. 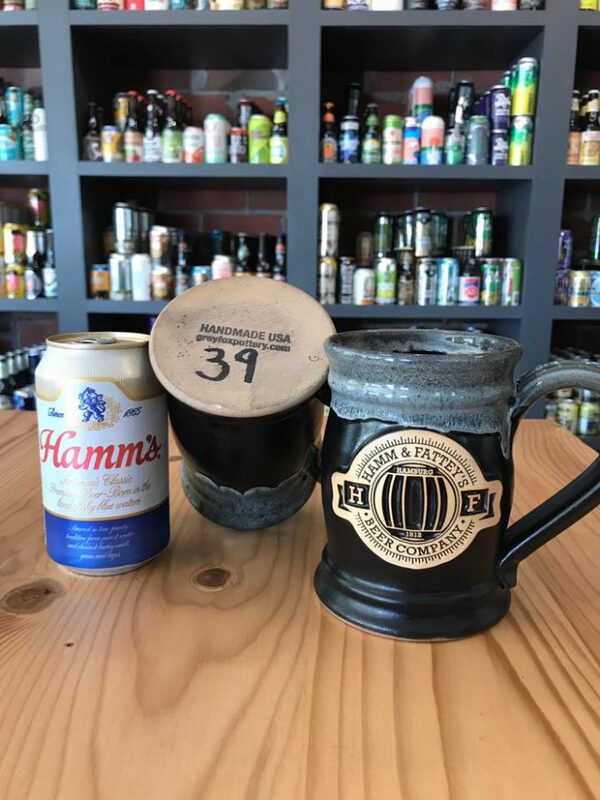 Hamm & Fattey describes themselves as a “unique bottle shop, tasting bar, brewing supplier, and social center”. These guys have fridges with 400 + bottles and cans from around the world, just ready to be purchased and taken home, or popped open and enjoyed right on the spot. They also have taps on hand, flights, and growler fills available at the tasting bar. Look out for a wide range of educational events and brewmaster visits coming up. As New York State’s first and oldest brewpub, Buffalo Brewpub has become an area institution throughout its three plus decades in business. 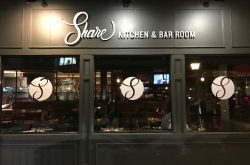 They offer 34 taps of craft beer, including their own house made lager, IPA and amber ale, and a number of local dishes, including wings and beef on weck sandwiches. Buffalo Brewpub is also noted for their fish fry, Reuben, chicken quesadillas, salads and their complimentary peanuts and popcorn. You can also join their Mug Club, which entitles you to $1 off pints (every day until 7pm and all day Sunday and Monday) and invites to club-only events, all for free! Specializing in rare and hard to find beer, the village of Williamsville’s first craft beer bar houses a very knowledgeable beer staff pouring from 20 constantly-rotating taps of beer you normally can’t find anywhere else – not to mention a quality can and bottle selection as well – all in an intimate setting that fosters a deep relationship between you and your beer. Want to enjoy the weather? Then take your beer out to Moor Pat’s beer garden. They also offer a limited food menu, including wings and pretzels, and a healthy list of bourbon, whiskey, and scotch. 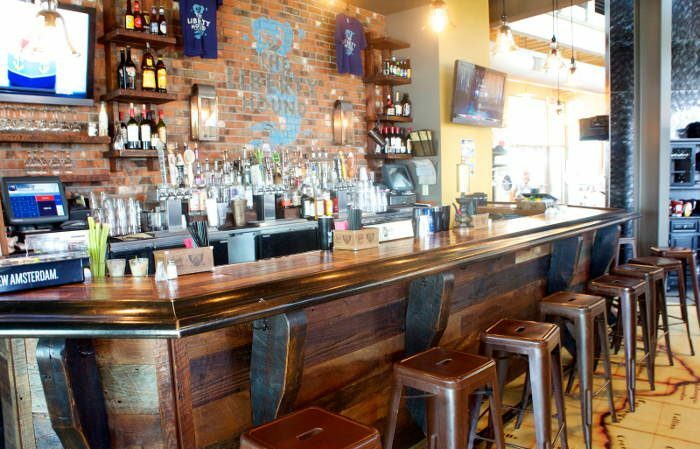 Murphy Brown’s is another beer bar/store hybrid, this time located in the Northtowns. While the shop side has plenty of options, what makes this spot stand out is it’s impressively long list of beers on tap. 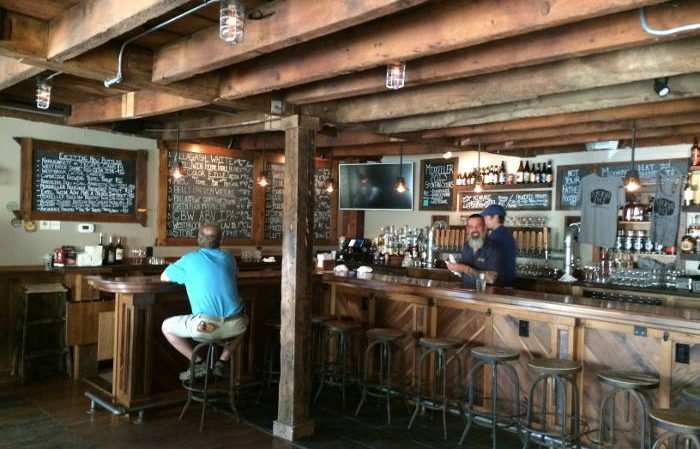 With roughly 25 brews on tap, a handful are local. 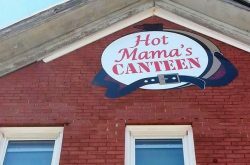 They have a full food menu too complete with burgers, pizza, wings, and more. With three locations throughout Western New York in Clarence, Niagara Falls and East Aurora, the Griffon Pub is a craft beer mecca with literally hundreds of taps (222 to be exact) across its three locales. Beer fans should have no trouble finding something to drink from 50 taps in Niagara Falls, 72 in East Aurora and 100 in Clarence. And when you have that much beer to drink you need something to wash down and Griffon has you covered with a true gastropub menu full of unique, creative and fresh dishes. 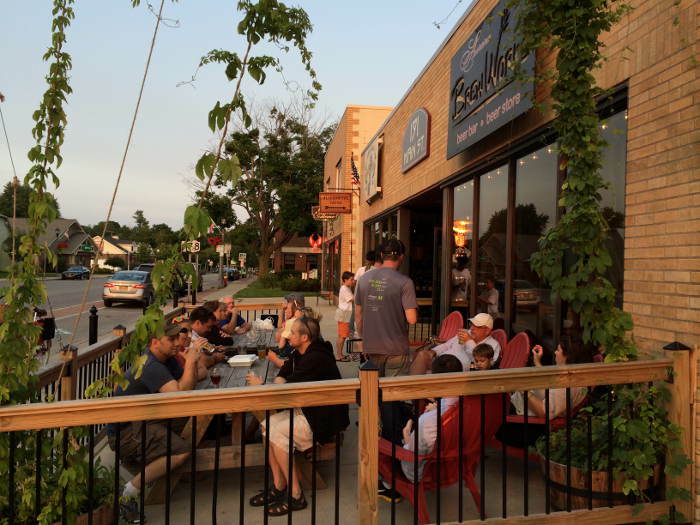 West Seneca’s Ebenezer Ale House, located conveniently next to Rusty Nickel Brewing Company, offers quality food, an extensive selection of craft beers, both on tap and in cans and bottles, top-notch service and a comfortable environment in which to enjoy it all. Along with beer of the month, daily drink, and food specials, Ebenezer also provides regularly occurring events and promotions. With multiple HDTV’s, including a 65″ TV in our dining area, there isn’t a bad seat in the house to catch a Bills or Sabres game. Also, if you’re in the area, be sure to visit their other locations in Eden and Akron. Combining Old World tradition with Western New York fare, Brennan’s Bowery Bar is a place to relax after a long day of work with a cold beer and with nearly 30 different, constantly rotating drafts, featuring both domestic and craft beer, local and non as well as ciders, available, it should be easy to find a favorite. Brennan’s also offers lunch, dinner and late-night menus for those looking for delicious Irish-inspired foods and popular local favorites. Let’s face it – there’s a reason Brennan’s has been open for over 40 years.